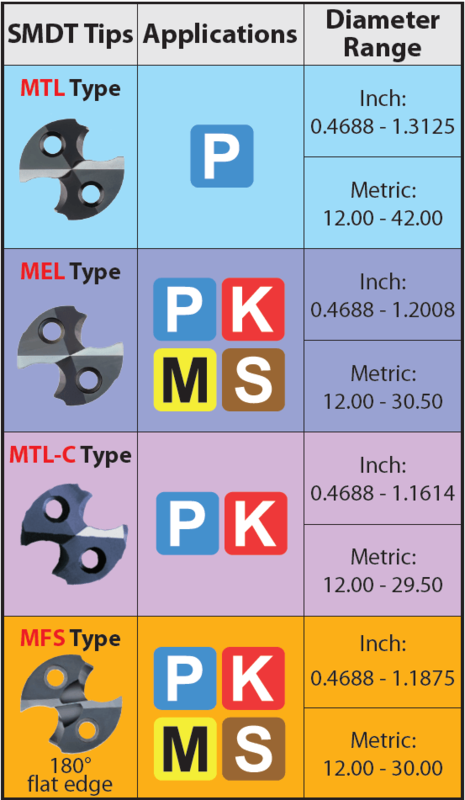 SMD Replaceable Tip Drills » Sumitomo Electric Carbide, Inc.Sumitomo Electric Carbide, Inc.
diameter range listed on shank. so that the screw mounting holes line up. mounting holes are lined up. replaceable carbide head is in the correct position. 1. 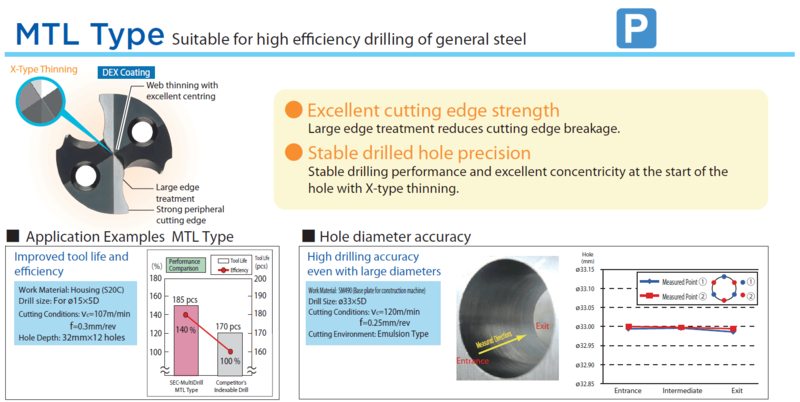 The recommended hole depth is 2 x drill diameter. The depth is measured from the highest point of the hole on drilling in inclined surfaces. 2. 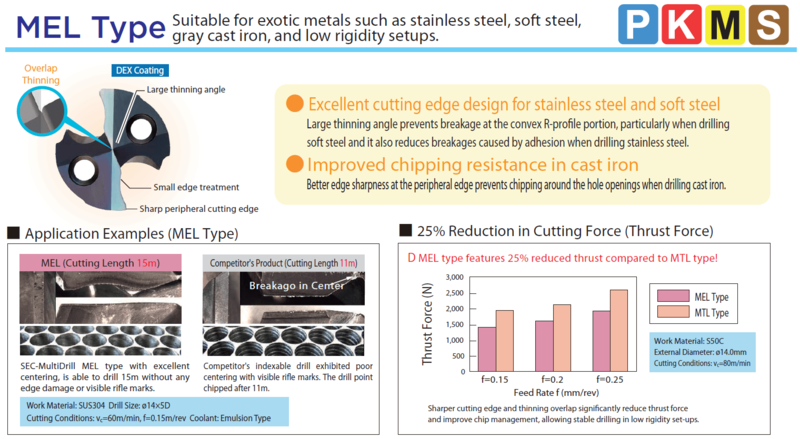 The recommended cutting conditions are those for drilling on flat horizontal surfaces. 3. 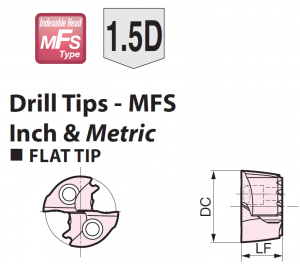 Adjust the feed rate according to the inclination angle when drilling on an inclined surface. 4. Set the feed rate at 70% or lower when the inclination angle is 30° or less. 5. Set the feed rate at 50% or lower when the inclination angle is larger than 30°. 6. This product is a drilling tool. Do not use it for traversing or helical milling.